Fast forward ten years and the BJP’s foot-in-mouth moment is saved only by the faded memory of the public. A closer look at the history of this project, however, reveals the fundamental dangers and utter vanity lying just beneath. This piece pays special attention to the Mumbai-Ahmedabad corridor. Although the HSR project has most certainly seen a push forward under the current government, the idea was not initiated by them, contrary to what the BJP like to claim. The critical question to be asked however, is whether the introduction of HSR networks in India is a rational move. In other words, is India ready for bullet trains? In its 2007-08 budget, Indian Railways (IR) suggested five HSR routes. After several years of budget amendments, political wrangling and the creation of various subsidiaries the Diamond Quadrilateral was announced in 2013. A humongous project aiming to connect the four major metropolitan cities Delhi, Mumbai, Kolkata and Chennai. A project that will span a route of 10,000 km. The Central Government of India formed the High Speed Rail Corporation of India Ltd (HSRC) as a subsidiary of the Rail Vikas Nigam Limited (RVNL) - a subsidiary of the Indian Railways for the development of the High Speed Rail projects. It was launched on October 29, 2013. The 12th Five-Year plan which comes to an end this year, proposed to form the National High Speed Rail Authority (NHSRA) as an autonomous body for the implementation of IR’s HSR projects. While the NHSRA would be responsible for policy formation, HSRC would be responsible for its implementation. A level of bureaucratisation as is common with such large scale national projects echoing Max Weber’s caution that the bureaucratisation of the modern world leads to its increasing depersonalisation. Weber warned of the threat bureaucratic rationalisation posed to individual rationality and freedoms; the former, trapping individuals in a soulless iron cage of bureaucratic, rational control. The modern bureaucracy having no room for the individual or the marginalised since the “larger whole” occupies the entirety of its volume – a fact that shall be illustrated later. A Memorandum of Understanding (MoU) was signed between Japan International Cooperation Agency and the Indian Ministry of Railways on October 7, 2013 to conduct a joint feasibility study for the Mumbai-Ahmedabad corridor, the first system to be implemented out of all the HSR projects. A later MoU was signed in 2015 for financing the Mumbai-Ahmedabad HSR, estimated to cost to cost Rs 98,000 crore. Due to various technical challenges, the Mumbai-Ahmedabad eventually increased to Rs 1,10,000 crore. This roughly covers the brief history of the HSR projects in India so far. Now, one could listen to Modi extol the virtues of the bullet train or one could begin by looking at the above-mentioned feasibility study. 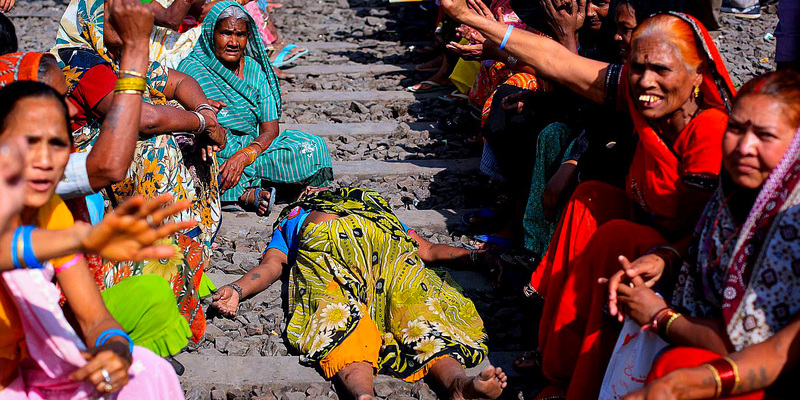 The 2013 study was centred on the tribal populations living on the lands between Mumbai and Ahmedabad and what “adequate protection[s]” they can receive against the project’s “adverse impacts on their culture [and] identities”. A primary survey was conducted in the report to capture the perception of the indigenous communities in the districts of Palghar (Maharashtra) and Valsad (Gujarat) about the project and its likely impacts. Unsurprisingly, 69.9% of those surveyed from these two districts were against the project. Further queries revealed deep seated fears and apprehensions over real dangers the project would expose them to. All respondents citing loss of physical assets and residential structures as their primary reasons. Furthermore, reduction in air quality and noise pollution cited by 32.3%, and loss of income was cited by 20%. Other reasons include: loss of farmland (13.8%); split of community (13.8%); difficulty in commutation (13%); and loss of working/market place (7.7%). All these fears are justified and are becoming increasingly real as the BJP attempts to fast-track the project by advancing the deadline to 2022, in order to coincide with the 75th anniversary of India’s independence. It is important to note that Japanese counterparts provided 2023 as the recommended deadline, and this push for speedier implementation by the ruling party simply reflects and amplifies the motivation for introducing such a project in the first place. The introduction of bullet trains in India does not arise out of a longstanding public demand or out of economic incentives, of which there are almost none. Rather, the bullet train is simply a showpiece to be used as the new opioid of the masses. An opioid that doesn’t instil one with religious dogma but with a false sense of national pride in something of marginal benefit to a tiny section of society. The opioid is of state dogma. Whether the state can complete the project one year ahead of time is of little to no importance. The question that ought to weigh heavily in our mind however, is at what cost will this fast-tracking come at? Likely, the burden shall fall on the indigenous communities, those whose voices are seldom heard – the signs of which are already starting to show. On September 14, 2017, while Modi went into raptures about the enormity and significance of this project in Sabarmati, thousands of tribes associated with the Bhoomi Sena in Palghar district, along with several other organisations held a black flag demonstration in protest against the project. The tribes charged Modi with violating the very fundamentals of the Panchayat Extensions to Scheduled Areas Act 1996, as the tribes were not consulted at all for the project. Is it rational then to sit back and hope for the state to miraculously complete the project on record time without affecting these communities? The newly appointed advisor to the project, Sanjeev Sinha, has in fact urged the two states of Maharashtra and Gujarat to speed up the land acquisition process to meet the new deadline. Acquire from whom is a question left out in the mind and the words of the state as it has been time and again. The feasibility study further revealed that 84.5% of residences would be displaced in the districts of Palghar and Valsad. Moreover, 34.6% of roads and 41.2% of electricity poles would be lost in these areas during the construction of the HSR network. The report recommends dedicating a compensation budget of Rs 9.2 crore overall to the indigenous communities in the surveyed regions. History, however has repeatedly exposed the inefficiencies in the government to provide for compensations to the marginalised, an effect of the bureaucratisation described by Weber. Over 200 scheduled tribal structures will be affected by the project in the districts of Palgarh and Valsad alone as per the feasibility report. However, the real number will be significantly greater since the report unfortunately fails to consider “land losers” and moreover doesn't consider the several households outside these districts that will be enormously impacted as well. Civil society must play a huge role in fighting for the indigenous communities and making sure that their voices aren’t drowned out by the sounds of the machines fated to overrun their lands and their lives. Putting the fate of the indigenous communities aside, let us consider the logistical and economical aspect of this project on a larger scale. To begin with, the cost of the project itself is a warning sign for anyone who believes in the rational usage of resources. 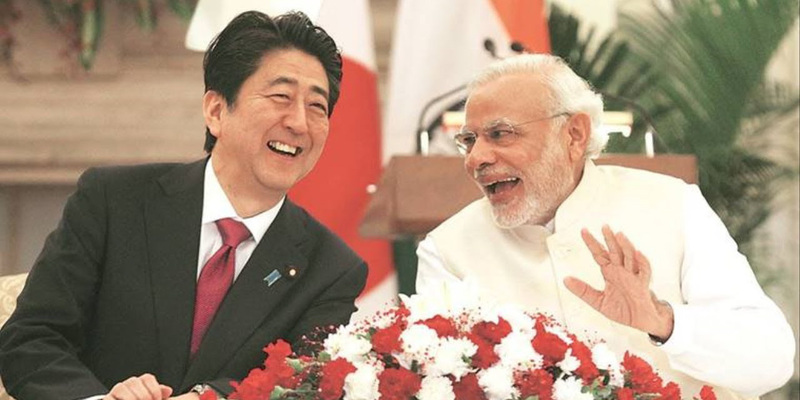 Out of the Rs 1,10,000 crore ($16.5 billion) required for the project, the Japanese state, led by Shinzo Abe, has offered a 50-year loan of Rs 88,000 crore ($13.2 billion) at 0.1% to India. A deal Modi and many commentators congratulate themselves on being almost virtually free – a belief not grounded in reality. What is even more striking perhaps, is how ready and willing the media are to reinforce this misrepresentation through flashy headlines. While a 0.1% interest rate may seem like a fantastically low amount and the time of 50 years to repay the loan may seem sufficiently long enough, what the Prime Minister fails to point out is the exchange rate risk. The exchange rate of the two countries is determined by the inflation differential which is expected to be approximately 3% between the two countries over the next two decades as pointed out by M.K Venu of the Wire. This means that with reference to Japan, the rupee is likely to depreciate by 3% each year. Therefore, in a span of two decades, the rupee is likely to depreciate by 60%. Let’s assume this rate stays roughly constant throughout the 35-year period India will have to repay the loan; the value of the rupee could depreciate by 105% with respect to Japan, meaning a loan of Rs 88,000 crore ($13.2 billion) today would amount to a repayment of over Rs 1,80,000 crore ($27 billion) at the end of 50 years. In addition, given the state of research and development in India, we will be forced to use Japanese equipment and contracting which isn’t free. At the end of 50 years, India may end up paying a much higher value of debt. A debt that is inter-generational in nature. Those born today, as Modi and Abe shake hands in Sabarmati, would be forced to continue paying a debt, decades later - an injustice that we pass on to them. Modi has also managed to paint the loan from Japan as an act of generosity on behalf of the Japanese government. To anyone who has critically studied economics, it would be clear that kindness is antithetical to the market economy. So why has the Japanese government offered such a large loan with such a tiny interest? One of the reasons has already been mentioned, namely that in all possibility India will be paying back a larger amount than it has borrowed. Another important factor to note is that the Japanese economy is riddled with a debilitating deflation. Japan’s central bank has facilitated negative interest rates to dissuade banks from hoarding cash, encouraging them, in theory, to lend to businesses. By offering the loan to India, repayable in the long term, Japan can temporarily ship out the excess cash resources, only for it to come back into their system slowly over 50 years, and with a greater value. It is not Japan that has shown India generosity but it is quite naively, the opposite. Another claim made by the ruling party and cheerleaders of the HSR network is the potential stimulus to ‘Make in India’, a Modi initiative to develop the Indian manufacturing sector. The Times of India going as far as saying “India would manufacture and export bullet train technology hardware and software to other countries”. Such claims, again, are not grounded in reality. The fact of the matter is that India is in no state to produce the R&D needed to produce the HSR networks and the bullet trains in the span of five years, without prior development in these sectors. More significantly, Japan has made it a pre-condition that India would buy the entire rolling stock from Japan (without the additional guarantee that it would have the safety record of the Japanese Shinkansen). Japan has made it amply clear time and again, in its dealings with other countries, that it simply does not transfer technology to other nations, further disproving the notion that HSR will boost the manufacturing sector of India. Thus, the situation appears to be a win-win for Japan and a no-win for India. We should also ask ourselves: what kind of ridership is needed to make this project financially viable? A 2016 report from IIM-A titled “Dedicated High Speed Rail Network In India: Issues in Development”, attempted to answer this question. Estimating an average fare of Rs 1500 for the journey, the Mumbai-Ahmedabad route would have to ferry between 88,000 to 118,000 passengers per day to be viable. This leads us to the frankly absurd conclusion that the planned bullet train would have to make 100 trips a day between the two cities. Moreover, the fare taken here is a conservative estimate, as we now know that a trip could cost between Rs 3000-5000 ($40-75), thereby lowering the number of riders and possibly increasing the number of trips. Another important externality of this project is the impact on the transport sector between the two cities Ahmedabad and Mumbai. It is well understood that the bullet train would face heavy competition from conventional rail and road transport. While adjusting of fares to face this competition either by lowering bullet train fares or by gradually increasing the costs of competing modes of transport is one possibility, it is almost certain that the introduction of competing public transport services in the same route as the HSR will be avoided. Thus, cheaper transport services along the corridor will be suppressed and may even face gradual degradation, a burden likely to fall on the poorer population living in those regions. It is therefore probable that the introduction of the HSR will distort existing modes of public transport that offer cheaper travel options. Bearing all this in mind and the several other issues not mentioned here, it seems rather clear that India is not ready for bullet trains. A country where open sewers are so commonplace, roughly half the population practice open defecation, and whose Human Development Index stands at 131 out of 188. Similar amounts of money allocated to the HSR network could have been utilised in expanding the existing rail networks, 16% of which carry 60% of the traffic. Or perhaps we should be providing electricity to the 75 million people in Bihar, a state with the highest proportion of households without any. The state would rather spend over a trillion dollars on a single bullet train whose negative impacts for the country significantly outnumber its positives – this is nothing short of a crime. When the 75th anniversary of independence comes, will we want to celebrate knowing that we created generations of debt bearers?